We are very commited to what we do . 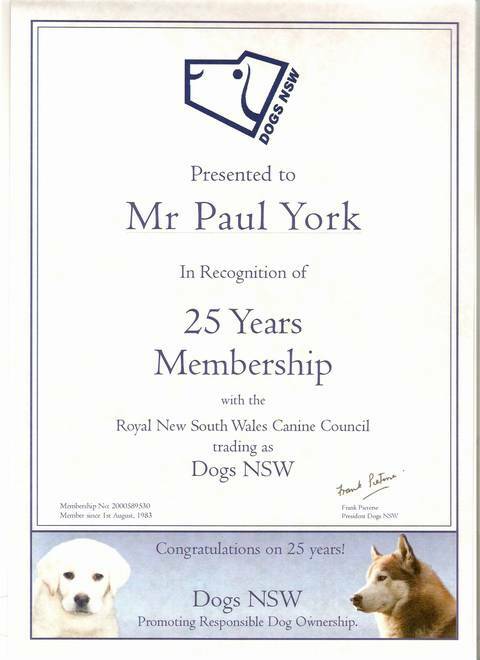 As you can see by the above certificate issued by Dogs NSW we have been involved in the dog world for the majority of our adult life. We are devoted to improving the dog breeds that we are involved with. Our long standing and reputation in the dog world is apparent to all that deal with us. Our experience and knowledge is offered to all who decide to obtain their canine companion from us.